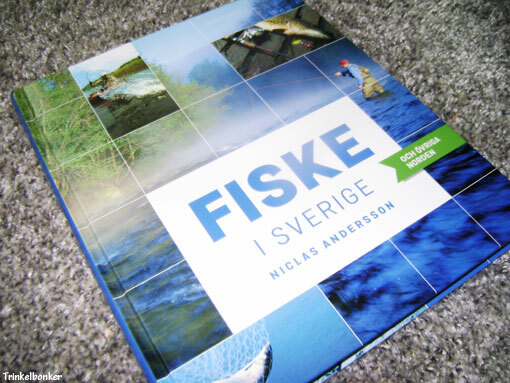 Bought this book for the old collection – “Fiske i Sverige och övriga Norden” (Nordstedts 2015) by author Niclas Andersson – about 260 pages packed with good information and lovely images. I was into fishing when I was a kid but other interests took over. Now I´m looking to buy property close to good fishing waters and I don´t think that´s going to be a problem. There are plenty of lakes in these parts. Got to get out of the city. 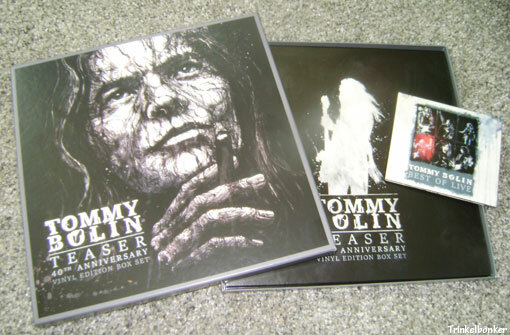 This arrived in the mail today, the Tommy Bolin “Teaser – 40th Anniversary Vinyl Edition Box Set”. Sporting three LP´s with a total of 15 tracks and a double live CD with 17 recordings, it´s a pretty wonderful thing. The music of Tommy Bolin lives on and his legacy is in good shape I´d say. I discovered a show with Nazareth the other day on YouTube, recorded in New York in 1976 at the Radio City Music Hall as they opened for Tommy´s Deep Purple, and it made me wonder if there exists a good recording of the Purple show that night as well. Who knows? I do recall an interview that I did with Nazareth singer Dan McCafferty back in 1986 (when they had the “Cinema” album out), and I asked him about the Purple tour of 1976, and he did mention that he had warned Tommy about the drugs. Tommy then pointed out in his defense that Jimi Hendrix had been the greatest of them all, and he had done drugs back in his day. Dan then pointed out that “Jimi is dead”. I just got to think about it now. Tommy recorded “Teaser”, his first solo album 40 years ago, and he also joined Deep Purple at that time.